Domaine Vacheron has been a certified biodynamic property since 2005 and thrives under the helm of cousins Jean-Laurent and Jean-Dominique Vacheron. They produce premium wines from both inherited and purchased plots in the Sancerre appellation. They take a Burgundian approach to winemaking, by vinifying according to parcels and blending according to vintage. Their vineyards are primarily on Silex (flint) which is found in the eastern part of the appellation and in Pouilly Fume. 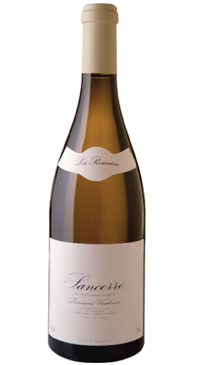 Their basic Sancerre bottling comes from vines planted on flint and limestone. This is one of the most age worthy and powerful wines of the appellation, the first vintage dates back to 1997. The grapes where planted over 60 years ago by the winemaker’s father on silex (flint) soils on a south facing slope. This silex soil is rich in fossilized materials that contribute minerality and smokiness to the wine. The grapes are hand harvested and the fermented with indigenous yeasts and aged in older French barriques. The wine is bottled unfined and unfiltered. Aromas of crisp pears, lemon zest, wildflowers. The palate tastes of stone fruit and citrus, with a finish that echoes the terroir’s smoke and seasalt notes. Complex and very age-worthy.